Lately Trent and I havent had a lot of time together. He’s in busy season at his job working long hours during the week and I work all weekend at the museum so we don’t see each other that much. We’ve designated saturday night as ‘date night’. Even if we just watch a movie at home we make that time just for us. Last saturday we drove to Evanston (a city we love about 15 minutes from us) for dinner. 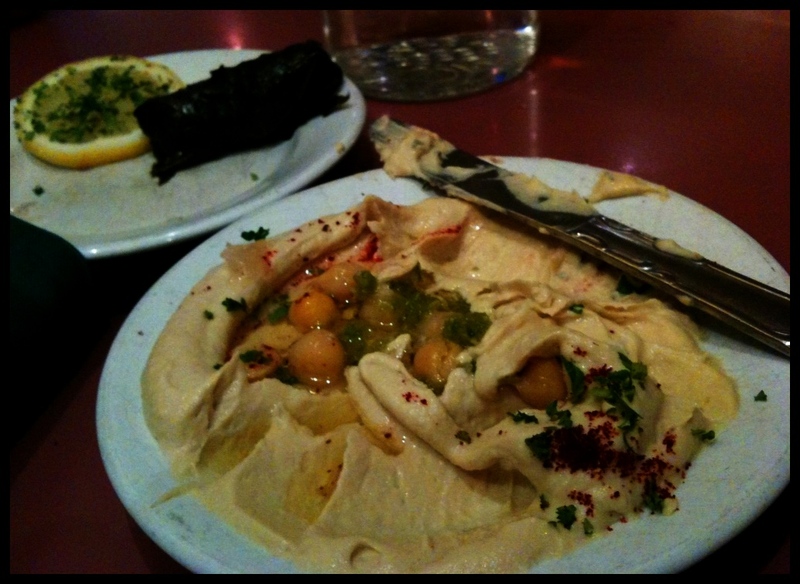 We ate at this amazing little place called Olive Mountain that serves delicious Middle Eastern fare. It was small, warm, and comforting. We really enjoyed it. The tables were squeezed together and it was loud with the voices of people laughing and talking, connecting over food. And it was so inexpensive! We got homemade hummus, stuffed grape leaves, 3 huge pitas stuffed full and it was only $20. We were so happy and full when we left that we didn’t mind the walk back to our car in the freezing cold. 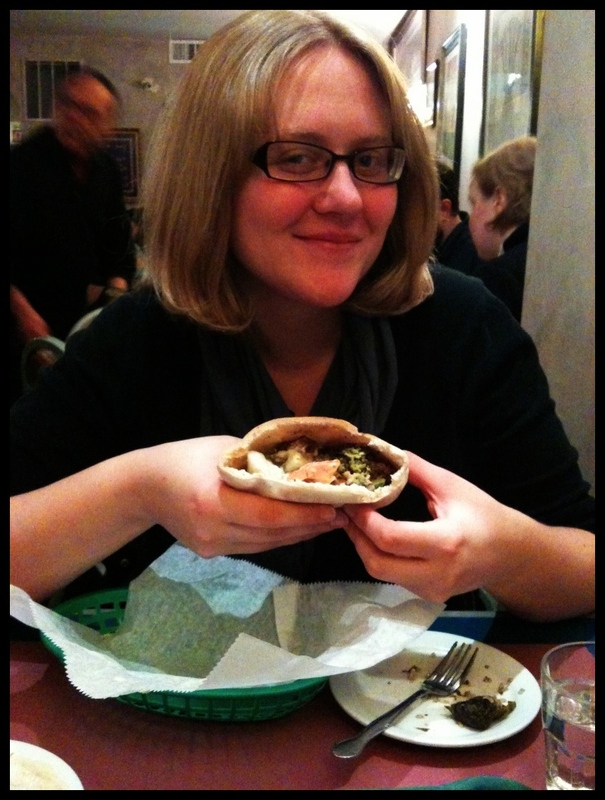 Me posing with my pita stuffed full with Falafel and Jerusalem Salad. This was the first time I had ever had Falafel and it was SOOOO good! I cant wait to recreate it at home. Hi friends. Wow so December is gone and January is in full swing. Crazy. So I have been absent for a while. (sorry) We had a seriously busy month. Every week we had visitors or we were out of town. All my free time was devoted to work and sewing Christmas gifts. It was busy, stressful and absolutely wonderful! I love this time of year. I know that some people think New Year’s resolutions are silly. But I love them! I love that people feel a sence of renewal and hope. Even if they don’t make it out of January they still had that blank canvas-anything is possible feeling. I have big dreams and many goals and I’m excited to see what 2011 will hold. 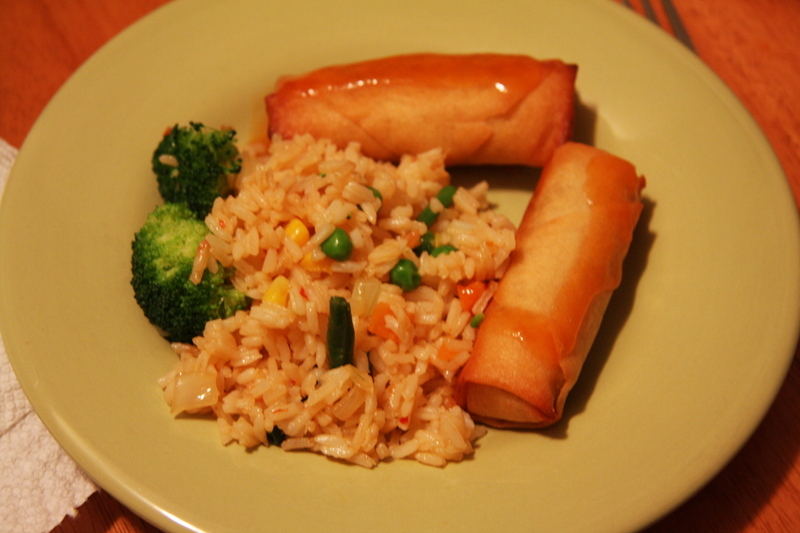 It’s that very cold time of year where I want to hibernate and eat comforting, warm food. While at work Sunday we got on the topic of pancakes. (we talk about food often) I got a serious craving. 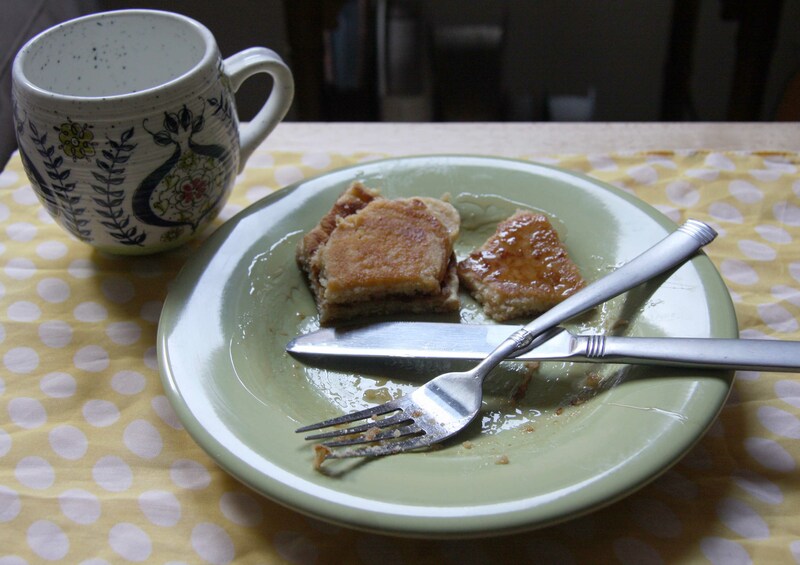 So when I made it home that night I got creative and came up with these very delicious Peanut Butter Pancakes. Sift dry ingredients together. Make a well in the middle and add all wet ingredients. Mix until just blended. 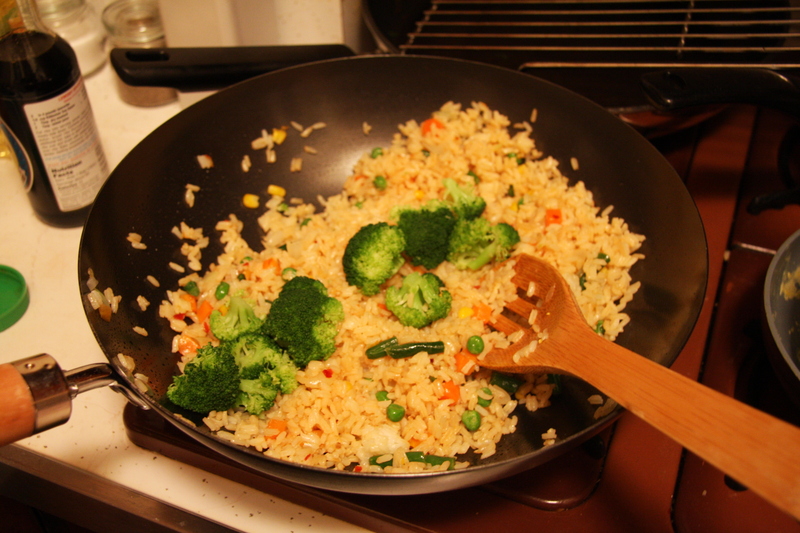 Cook on hot, greased skillet. 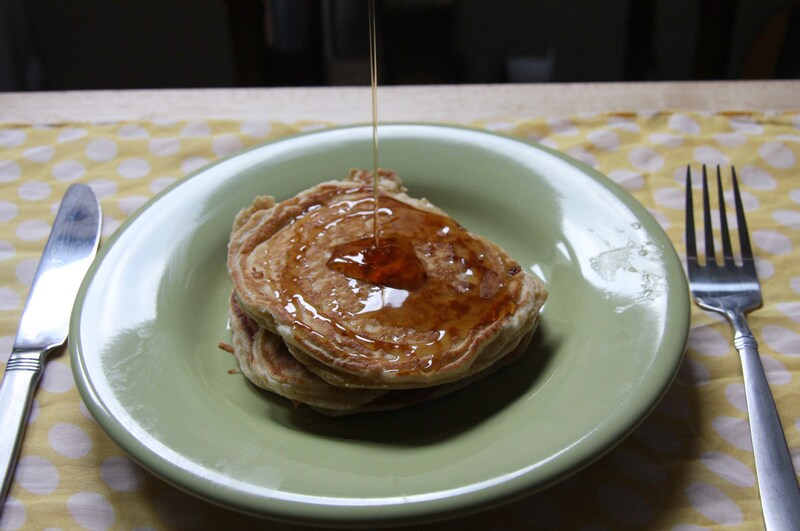 Enjoy with butter and syrup or honey. 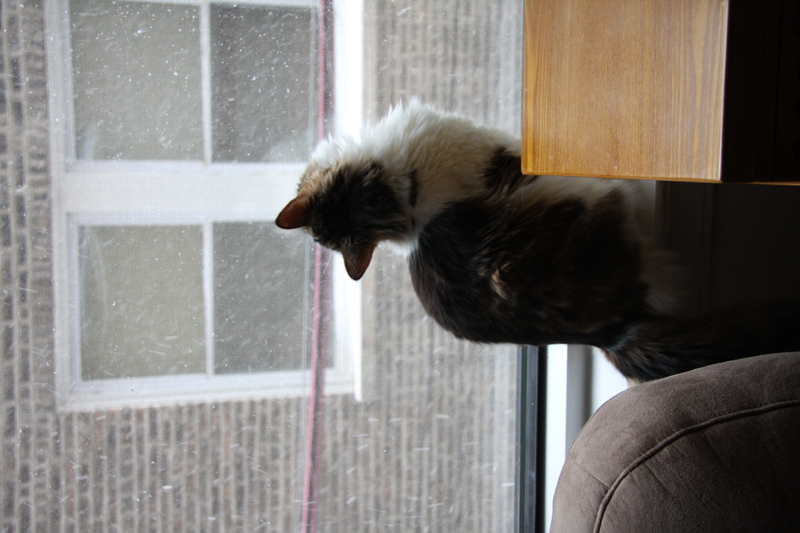 Menard loves to watch it snow!